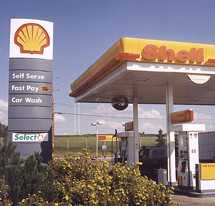 Sister M from Gracepoint Davis, while driving at night, looks at the Shell sign and exclaims, "Wow! Look at the moon! It's so big!"